Babywearing has some pretty serious advantages, not least that you can comfort and entertain your child and still have full use of both your hands, but there are so many slings on the market that sometimes it’s hard to know where to turn. I personally have at least three different kinds of slings hanging in a wardrobe at my place and it’s frustrating to shell out cash on something that turns out to be not quite right. 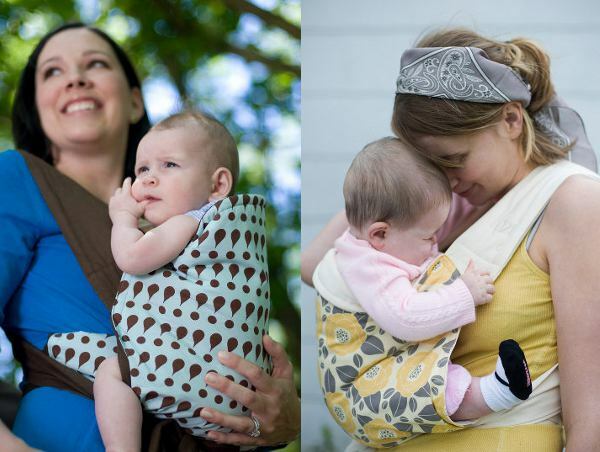 Thanks to reader, Julia, for singing the praises of the seriously stylish Kozy Carrier. Julia swears by it and it looks pretty great to us too. In fact, after watching the video below, it was all I could do not to shove one of my kids into a sling and race out to water the garden. It comes in a great range of colours and designs, but is also reversible for the times (and outfits!) when you need something a bit simpler. The Kozy Carrier is a Mei Tai style sling, which means there are no rings or buckles to negotiate, and it grows with your baby from newborn to toddler and beyond (and with you too, for that matter – meaning you can wear it not only through subsequent pregnancies, but also through birthdays and Christmas, if you get my drift). It’s well padded, so it’s comfortable to wear even with an older child, and not only will your hands be free, but with a bit of clever positioning, you can even breastfeed on the go. Sounds good? You can find Kozy Carriers at Nursing Angel, with prices starting from $110.